Mahathi Systems India Pvt Ltd. 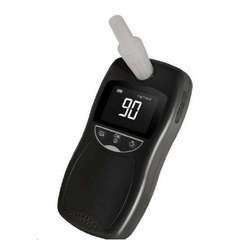 Incorporated In The Year 2004 As A Sole Proprietorship Based Company At Hyderabad, Telangana, India We Mahathi Systems Are The Prominent Trader, Wholesaler, Distributor And Supplier Of A Highly Demanded Array Of Breathalyzer Tester, Digital Breathalyzer, Alcohol Breathalyzer, Breath Alcohol Tester With Printer & Laser Speed Gun. The Products Offered By Us Are Widely Acknowledged In The Market Due To Their Remarkable Attributes Such As Sturdy Construction, Long Service Life, Hassle Free Performance, High Functionality, Rigid Structure, Etc. Sourced From The Most Reputed And Reliable Vendors Of The Market, These Products Are Manufactured With The Usage Of Excellent Quality Components And Pioneering Technology Under The Surveillance Of Diligent Professionals In Tandem With Market Quality Standards At Vendors Unit. Mahathi Systems India Pvt Ltd.
L.G.F-29, Sahara Plaza, Sahara States,Mansoorabad.